Invercargill air traffic controller Natasha Hansen will board a flight of her own next week, the first leg of a journey which ends at the Olympic velodrome in London. Hansen leaves on Wednesday along with a growing women's sprint squad including Katie Schofield, fellow Southland rider Steph McKenzie and junior world track representative Paige Paterson as she begins the buildup to the Olympic Games. The squad will be based initially in Newport, Wales, before moving on to Valencia and then joining the men's sprint programme in France and then Germany. From there, Hansen will leave her fellow female sprinters in late July and continue on with coach Stu McDonald to the London Games. "It hasn't quite started to sink in yet," Hansen said yesterday. 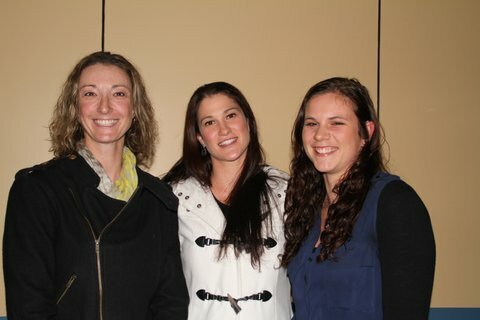 "Since being named in the squad and coming back from worlds my training has lifted a notch. I've continued to work fulltime and I've had quite a hectic schedule so I haven't had too much time to think about things. I guess it will start kicking in when I'm flying over to Newport next week." Hansen and McDonald had opted to go to Newport because the velodrome there had similar dynamics to the track built for the Olympics, which run from July 27 to August 12. Hansen said her preparation couldn't be faulted. "Everything has been going really well. My training is a lot better now than where it would have been say last year in the same phase. I'm pretty excited about the Games and the times I'll be producing." Fellow sprinter Eddie Dawkins leaves with the men's sprint team on June 14, heading first to Valencia and then on to Bordeaux to join the New Zealand team. Southland's Matt Archibald will accompany the team until they leave for London. Dawkins and Archibald have followed up a heavy gym programme during a New Zealand sprint camp at the Southland velodrome. Last week they set new personal bests of 250kg for the squat in the gym and both were lifting bigger and faster than they ever had before, Dawkins said. "Every day (the Olympics) gets closer. We are like schoolgirls, getting more excited," he said. Cycling Southland's Phillipa Gray, Laura Thompson and Kylie Young are expected to ride in the Paralympics, which run from August 29 to September 9. After winning a bronze medal at this year's UCI world track championships in Los Angeles, Gray and pilot Thompson will contest all four cycling events on their tandem cycle, the kilo time trial and their favoured individual pursuit on the track, as well as the road time trial and road race around the streets of London. Young is to pilot former world track champion Jayne Parsons, subject to competing at the UCI 2012 para-cycling road world cup in Spain next month. 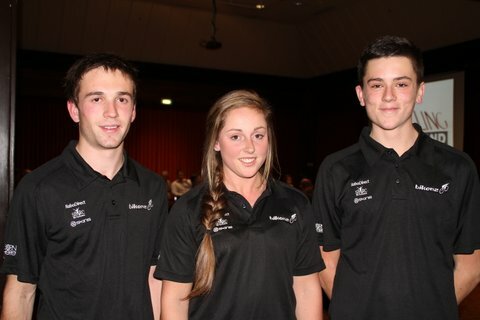 All six Southland cyclists were given a sendoff by Cycling Southland at a function in Invercargill last night which also featured Southland's three Junior World championships representatives Tom Beadle, Jeremy Presbury and Kate Dunlevey.